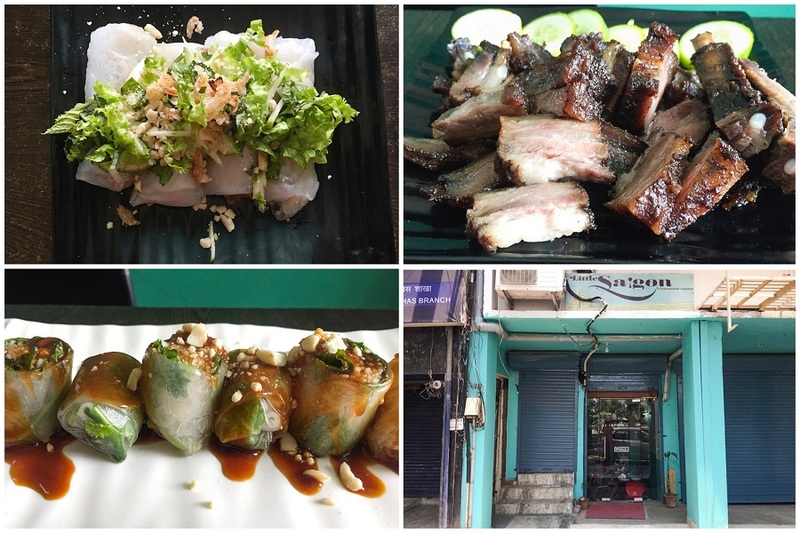 [New Delhi] Chef Hana Ho’s Little Saigon is a tiny place with a big heart. 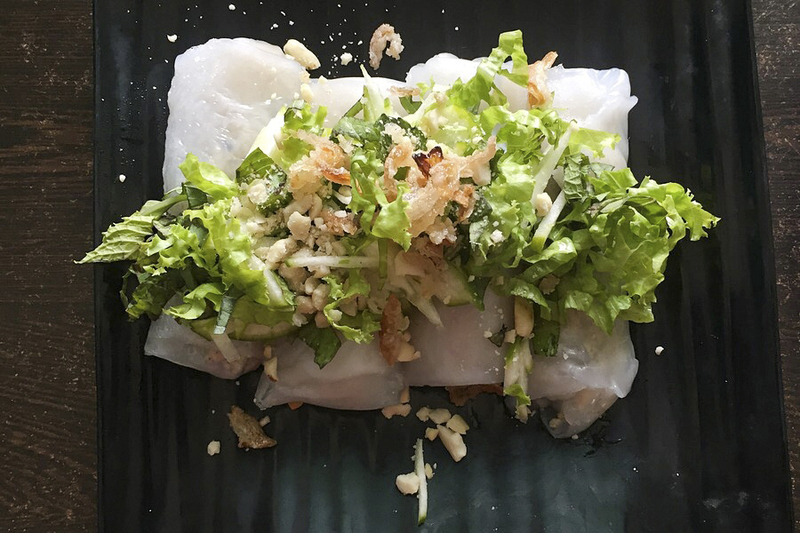 It serves some the most delicious Vietnamese food available at New Delhi, highlighting her culinary heritage and respect for the right ingredients. 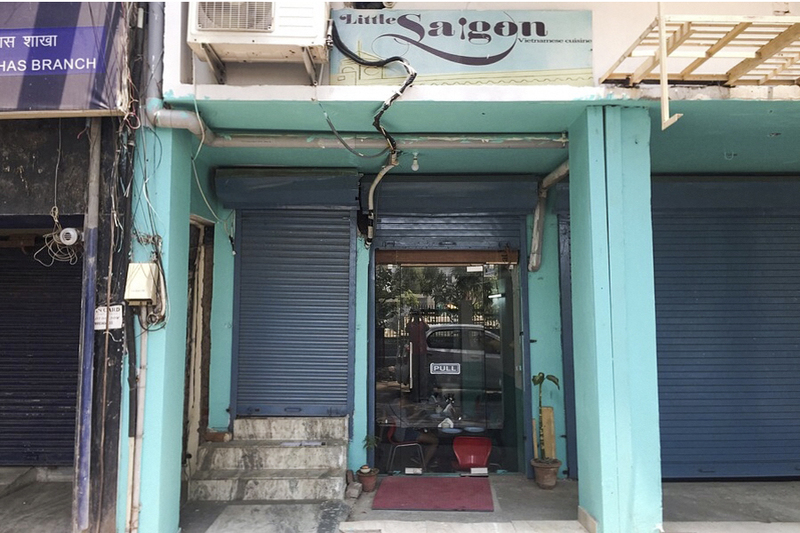 Situated in Hauz Khas Market, the humble interiors of Little Saigon place a spotlight on the food, which might look ordinary but packs a solid punch with regards to various textures and myriad flavours. Because the restaurant only opens for lunch and dinner, with limited seating, and it is quite popular, thus reservation is a must. Starting her own restaurant had always been a dream of Chef Ho even while working in top hotels like the now-closed Blue Ginger at Taj Palace in New Delhi. 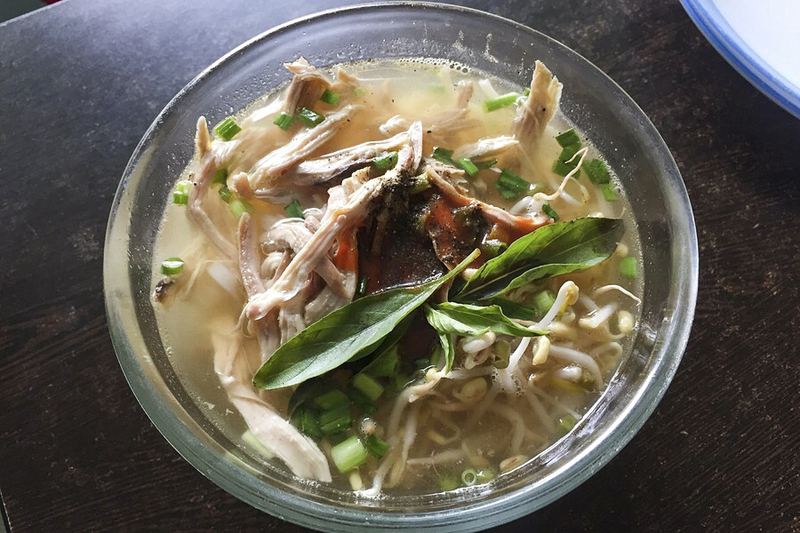 With a background that is steeped in culinary brilliance and included helping her parents run a restaurant in Ho Chi Minh City, Chef Ho has tremendous affection and appreciation for her home country’s food. It is with this emotion that she worked towards making the idea that was Little Saigon a reality. This allowed her to share a part of her culture with the people of Delhi. 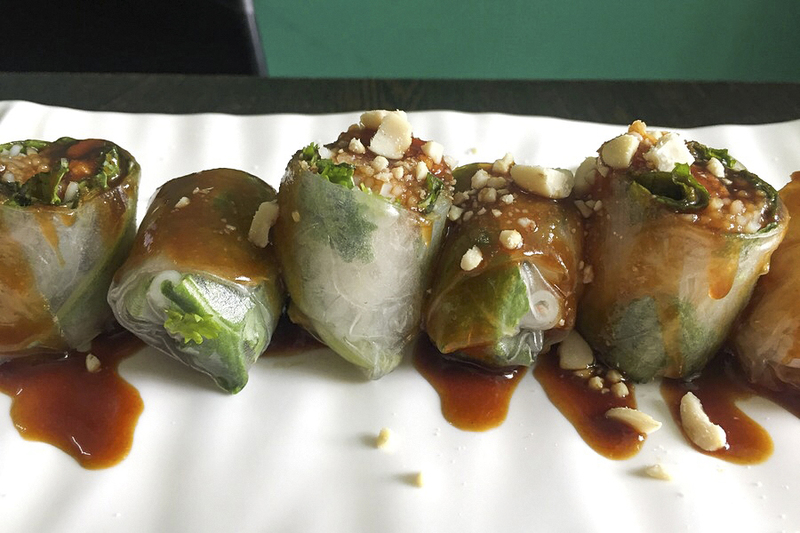 Little Saigon stands out in the city for being the only authentic Vietnamese restaurant here. 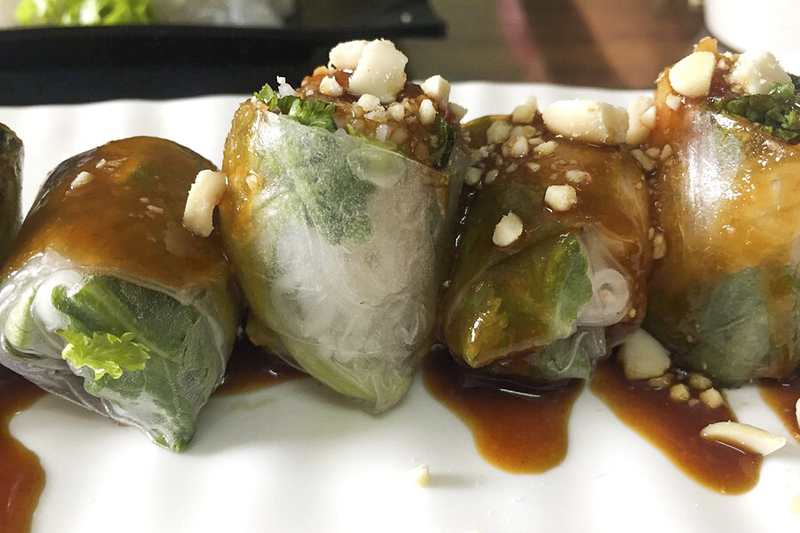 Even though South East Asian cuisine is trendy in India on the whole, Vietnamese food often gets overlooked. 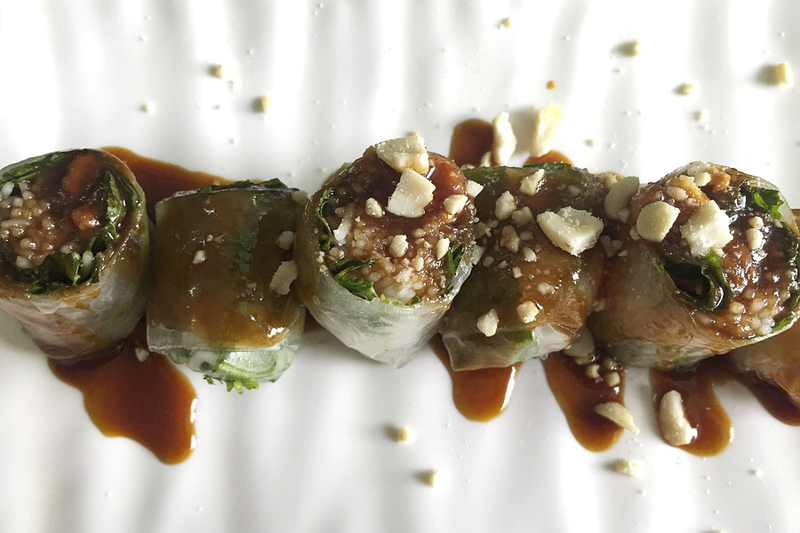 Through its food, it tries to educate people about the culinary delights of Vietnam. The interiors of Little Saigon are as simple as it can get. Three partially separated Vietnamese leaf hats make for much of the décor along with bright green coloured walls. The furniture consists of glass on top of old sewing machine tables which adds a bit of quirk to the place. 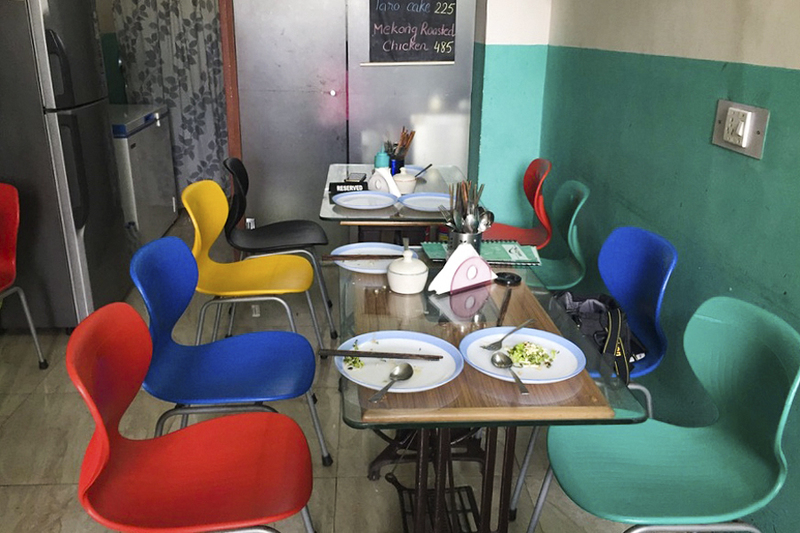 The plastic chairs, comfortable and straightforward, are responsible for a dash of colour in the room. A small partition divides the eating area and the kitchen from where Chef Ho comes and goes inquiring and recommending dishes to her patrons. 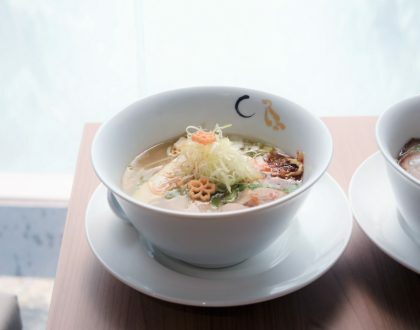 It has a very street food like setting, albeit you get to sit inside in an air-conditioned room. 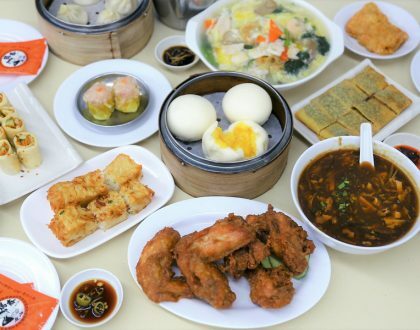 The menu of Little Saigon might be limited in the number of dishes they serve, but certainly not the flavours. Because of a ban on beef in India, the meats primarily include pork, chicken, and seafood. 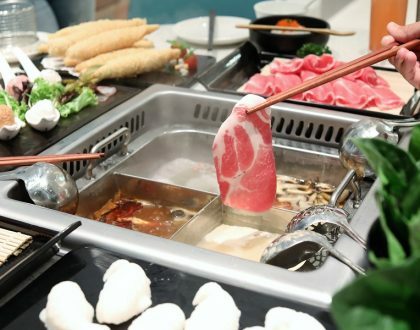 The food is a combination of quick bites and mains which are moderately priced and have adequate quantities. 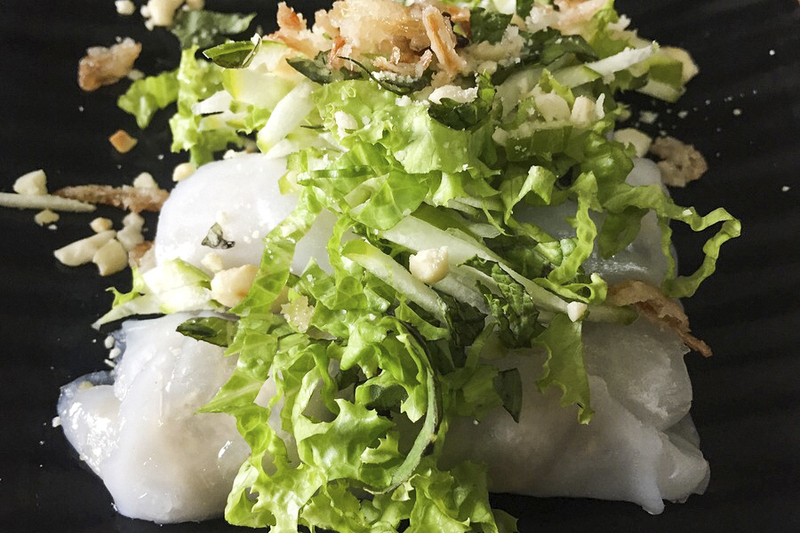 The Banh Cuon Nhan Thit – Steamed Rice Cake with stuffed Chicken – (Rs 320, SGD6.35) had many different textures to it and was so soft that it just melted in the mouth. 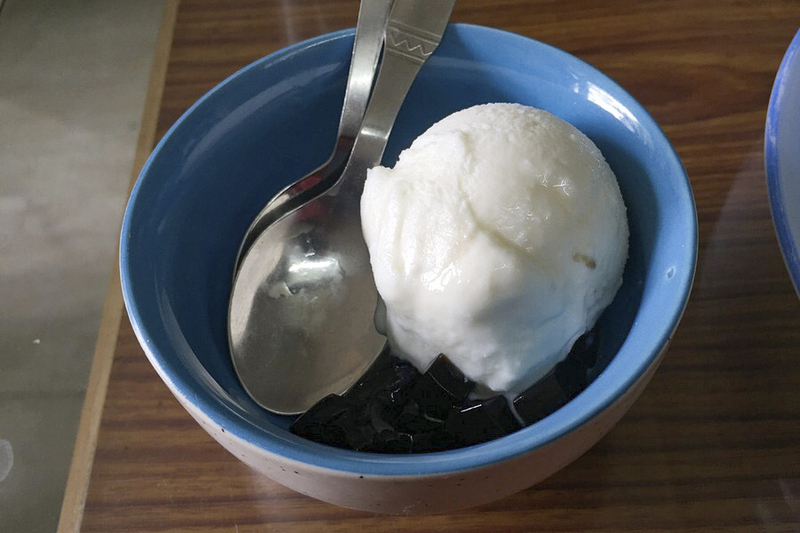 For a warm summer afternoon, this was a refreshing starter. 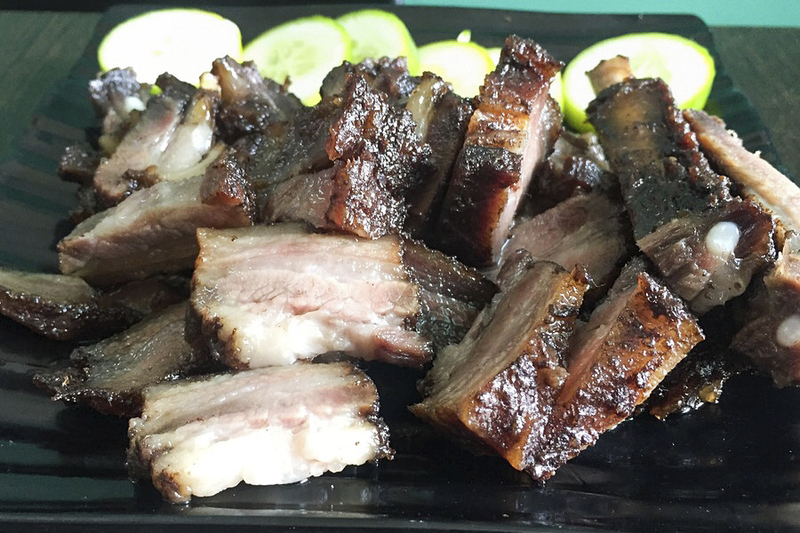 Thit Heo Quay – Roasted Pork Belly – (Rs 540, SGD10.75) is one of the restaurant’s signature dishes, highly recommended for its finger-licking meatiness. As for the main dish, the Cari Ga (Rs 280, SGD5.60) was just divine. Chicken in yellow curry with onions and sweet potato might sound like a simple dish, but the burst of flavours in the curry and tenderness of the chicken was exceptional. It was so good, I actually ordered a second round. I do recommend having Little Saigon’s special Milk Coffee with Jelly (Rs 160, SGD3.20) that goes well with the food and is equally refreshing. It is the humility with which the restaurant operates that won my heart. Being the first customers of the day, a family member of the chef sat on the table next to us reading a newspaper, nonchalantly, until more guests arrived. There is a very homely feel to it all. It is this kind of service and affection that adds to the dining experience and certainly makes for a memorable meal. So encouraging to see someone live it up and achieve their dream. While lavish restaurants open and close every day in the city, Little Saigon is an actual labour of love for Chef Hana Ho and her team. 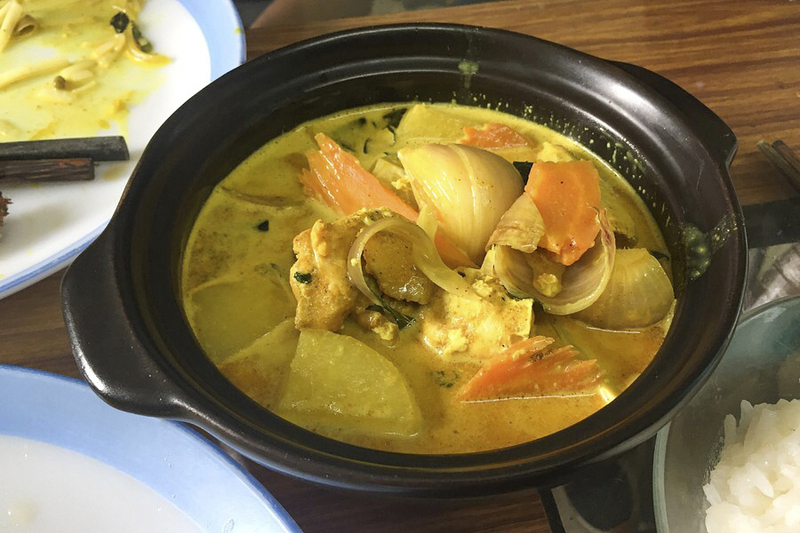 Their passion towards traditional Vietnamese food along with the welcoming nature they display towards all their customers has made Little Saigon one my favourite places to eat in the city.